Cinema Scope | Rossellini’s War Trilogy: Neorealism or Historical Revisionism? 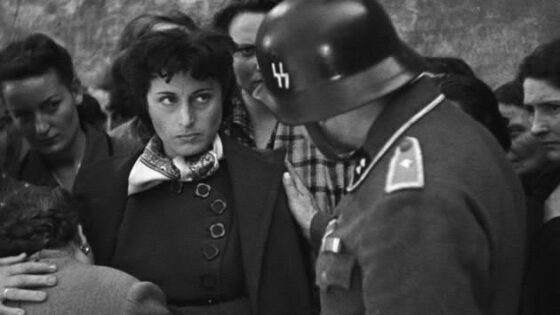 Two years before Roberto Rossellini started shooting Rome, Open City on January 18, 1945, the famed Italian director had just completed another war trilogy. Inaugurated with the 1941 navy flick The White Ship, followed a year later by A Pilot Returns, and crowned in 1943 with Man of the Cross, the trilogy celebrated the Italian army’s questionable exploits in the war fought on the side of Nazi Germany. Awarded the National Fascist Party Award at the ninth edition of the Venice Film Festival where the film premiered, The White Ship extolled the virtues of the Italian navy and its fearless German ally while depicting the English as little more than barbaric cowards. Based on a story by Benito Mussolini’s son Vittorio and produced by the company he presided over, the Italian Cinematographic Alliance (ACI), A Pilot Returns begins in the sky’s blue heights where an Italian pilot is downed and captured by the English in Greece only to valiantly escape to rejoin the Fascist army’s ranks (whose military record in WWII went from one humiliating defeat to another). Like the film that would follow it, Man of the Cross features a priest in a prominent role, only this time our heroic man of the cloth is not fighting the Nazis but the godless Red Army (at a time when Franklin D. Roosevelt was praising it for its “magnificent achievements, unsurpassed in all history” in the war against Hitler’s Werhmacht). Though on its face opposite politically, Rossellini’s following trilogy—Rome, Open City, Paisan (1946), and Germany Year Zero (1948), recently released in a Criterion Blu-ray box—shares with the first one a similar penchant for the wishful recreation of (very recent) historical events. Universally praised for their perceived authenticity, the films that effectively constitute the foundation of Italian neorealism—a supposedly genuine representation of “things as they really were”—present a highly debatable version of reality, historical and otherwise. “Italy had been the Third Reich’s main European ally, but this film redeemed the Italians in the victors’ eyes and also in their own: they too had fought Nazism,” remarks the voiceover in the 2006 documentary Once Upon a Time…Rome Open City by Marie Genie and Serge July (included in the extras of the Criterion box). As the Italian historian Claudio Pavone spent his life pointing out and proving, the nationalist idea of the majority of Italians having disapproved of, and fought against, Fascism was a myth. This was a very carefully constructed myth, one which neorealism helped to cement into the collective imagination of Italians and their new allies (willing to overlook their former enemy’s past in exchange for their political loyalty). One thing Rossellini’s trilogy faithfully mirrors is the transformist zeal with which Italy, having shifted alliances, swept its recent past under the carpet and contrived a new national reputation. This reputation was founded on an unseemly feeling of victimhood and an (un)conscious determination to bury deep 20 years of Fascism along with the responsibilities for its crimes. After two decades of silent compliance and proactive participation in Mussolini’s totalitarian regime, the citizens of the Italian capital had turned overnight into fervent anti-Fascists. That is at least the picture Rome, Open City wishfully evokes. Like in the vast majority of neorealist films, Italians are depicted as innocent victims of Fascism rather than perpetrators of its abomination while all the blame is conveniently imputed to the evil Germans (personified by Major Bergman, an effeminate sadist). Italian Fascists have vanished into thin air and the very few the film features are mere extras with no narrative agency of their own. Every other character is either an active member of the Resistance or a committed supporter of it in a city that was never recognized as a stronghold of anti-Fascism. The only Italian villain who collaborates with the Germans is Marina (Maria Michi), a lascivious and treacherous young woman. Though admittedly based on a real-life character who had perished in the Ardeatine Caves massacre, the character of Don Pietro (Aldo Fabrizi), upon which the moral rhetoric of the film centres, carries more allegorical weight than he can historically bear. True, some priests were indeed sympathetic towards the Resistance—very few to be honest—but in the symbolic economy of Rossellini’s film Don Pietro ends up eclipsing the role played by the Catholic Church during fascism. Not only had the Vatican welcomed Mussolini’s rise to power, and embraced the infamous Racial Laws that had institutionalized the persecution of Italian Jews as well as racism in the colonies, but it even aided Nazi criminals escaping after the war (as recounted in Costa-Gavras’ 2002 film Amen). None of this is even remotely hinted at in Rossellini’s film, which ends with Don Pietro’s execution carried out by reluctant Italian soldiers under the orders of the stereotypically bloodthirsty Germans. Partly financed and successfully marketed by American producer Rod E. Geiger, Rome, Open City constituted the perfect calling card for the political and cultural rehabilitation of Italy in the eyes of the Allies and the international community at large. Though Rossellini always lamented its poor reception, both critical and commercial, the film was a big success in both Italy and America. The same subservience that was granted to Mussolini and his German ally was to be bestowed upon those who won the war. The victors’ eyes and pockets were indeed instrumental for Rossellini’s second installment, Paisan, produced by Foreign Film Production Inc. and distributed by MGM. In this film, Rossellini consecrated the opportunism with which Italy jumped on the winning bandwagon, mapping the liberation of the boot-shaped peninsula from Sicily upwards at the benevolent hands of the American army (to which Italy had surrendered on September 3, 1943). Once again, Italian Fascism is depicted as nothing more than an act of residual confusion coming from an irrelevant minority, while the Allied Forces’ military offensive is a cause of gaiety rather than destruction. It’s enough to compare Paisan’s Neapolitan episode, where an African-American soldier loses his boot and is dragged around town by a street kid, with Liliana Cavani’s La Pelle (1981) or the beginning of Werner Schroeter’s The Kingdom of Naples (1978), both set at the same time and place, to notice Rossellini’s peculiar levity in depicting the realities of a military occupation—however legitimized, in historical terms, by Italy’s wartime conduct. Furthermore, the relationship between Italy’s homegrown resistance, mainly active in the North, and the Allied Forces was always a contentious one, rife with contradictions. Rossellini, though, flattens out any historical nuance in the pursuit of that imaginary unity that existed only in fiction when showing partisans and American troops fighting side by side in Paisan’s last chapter. Even more dubious are the lighthearted tones that characterize the only passing mention anti-Semitism gets in Rossellini’s trilogy, when in the monastery episode scandalized monks find out that one of their American guests is Jewish. Anti-Semitism is here framed as an innocuous prejudice of no consequence as everyone has come together under the magnanimous spirit of Christianity. The criminal complicity of Italy and Italians in what arguably remains the worst crime ever committed against humanity is not to be found in any of Rossellini’s films, nor in any other neorealist film for that matter. In 1948, Rossellini turned his merciful camera on a Germany in ruins, granting its inhabitants a supposedly humanistic treatment that was decidedly denied to their compatriots in his previous two films. 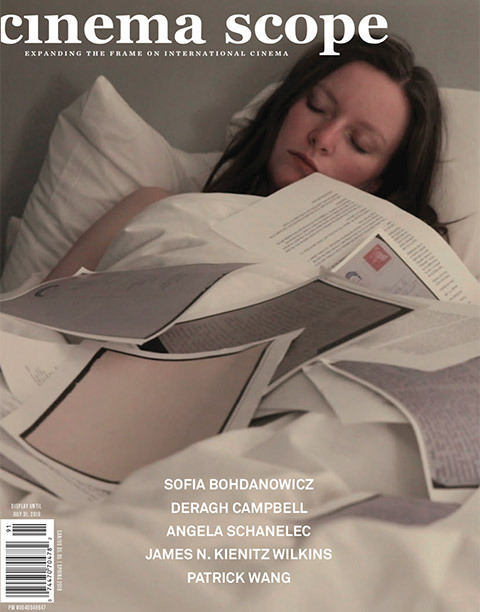 The prologue to the Italian version of Germany Year Zero, which was edited out from the international cut but is included as an extra in the Criterion edition, offers an equivocal interpretation to that which is to follow on screen. First the opening intertitle points out that, “when ideologies stray from morality and Christian piety, the very foundation of human life, they become criminal madness. Even a child’s good sense is tainted as he’s led from a horrendous crime to one no less grievous, innocently believing he will thereby be released from his guilt.” Then a voiceover declares that the film “aspires only to be an objective and faithful portrait” of postwar Berlin and its “3 ½ million people who plod through a dreadful and desperate existence,” feeling compelled to add that, “this is not an accusation or even a defence of the German people.” Perhaps rather than accused or defended, they should have been simply held responsible for the regime they had first elected and then tacitly supported throughout the war (unlike other European countries, in Germany there was no organized, armed resistance against the Nazis). By ascribing Nazism to a nondescript ideological perversion, the film downplays its economic root causes and its very Christian nature. To be clear, the horror of National Socialism emerged from the very immoral heart of Europe and its ideological justification included the defence of Christian purity against the dangers of Jewish degeneracy, which Nazi propaganda often associated with Bolshevik atheism. In Germany Year Zero, the young Edmund Köhler (Edmund Moeschke), under the influence of a caricatural pederast, poisons his ailing father, who confesses his generation’s inability to stop the scourge of Nazism. Crushed by feelings of guilt, the young protagonist jumps to his death in the film’s memorable finale. Though slightly more realistic in the depiction of postwar decay and the transactional expediency of its economy, the film clearly invokes (the Italian prologue notwithstanding) a forgiving spirit the name of which we should all have moved on. 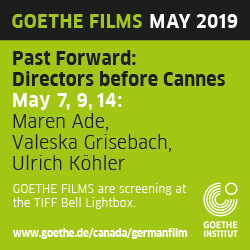 The Oedipal murder that the film stages, and that the Italian prologue condemns as senseless, symbolically represents the social trajectory that postwar Germany witnessed. The intergenerational forgiveness Rossellini’s film alludes to was something German cinema and society firmly rejected as they committed to the unconditional expiation of their historical responsibilities (a process that, however incomplete and rife with side effects, Italian cinema and society never undertook). It is enough to observe how Fassbinder tackles the same historical moment in The Marriage of Maria Braun (1979): devoid of any rhetorical piety, Fassbinder’s film is a lucid indictment of the continuity that accompanied West Germany in its transition from Nazism to federal democracy. Also emblematic in this respect is the cinematographic parable of Thomas Harlan, son of the propaganda filmmaker Veit Harlan, who spent his whole life confronting and denouncing the crimes of his father’s generation, most notably in his 1984 film Wundkanal. It is worth noting that when Veit Harlan’s infamous Jud Süß (1940) screened at Venice, it earned the enthusiastic praise of people like Michelangelo Antonioni and the future director of the festival (from 1963 to 1968) Luigi Chiarini. The latter commended Harlan’s film for its “search and achievement of a distinct cinematographic language; that absolute form without which there is no art.” Antonioni had appreciated the “epic breadth” of what remains one of the vilest examples of anti-Semitic propaganda ever committed to film. Fascism thrived on the ethical weakness of a society that willingly lent itself to the horrors of a regime that could count on conformism and opportunism in equal measures. The myth of the “reluctant” Fascist or, even worse, of the Fascist “in good faith,” is a historiographical fabrication that different factions across the political spectrum in postwar Italy had a keen interest in promoting. The Communists were perfectly satisfied with the imaginary idea of an Italian proletariat inherently anti-Fascist and blameless, while the Christian Democrats happy to preach the gospel of democratic stability without dwelling on the role the Church had played under Mussolini. This sudden political U-turn suited former Fascists very well in their search for new jobs, preferably in government (the head of the Fascist secret police, Guido Leto, continued working for the Italian secret services after the war). Either through sheer omission or via the systematic victimization of “the Italian people” as a monolithic whole, neorealism contributed to this narrative deceit. Films like Mario Mattoli’s Life Begins Again (1945), Alessandro Blasetti’s A Day in the Life (1946), Renato Castellani’s Under the Roman Sun (1948), and others, often made by directors who had had prolific careers under Fascist rule, propagated the idea of an innocent nation moving on from the disaster caused by a regime no one had anything to do with. Even films like Bicycle Thieves (1948), with its iconic finale where father and son walk hand in hand into an uncertain future (suggesting the same intergenerational solidarity of Germany Year Zero), dwelt on the melodramatic depiction of innocent victims with no historical responsibility in relation to their situation. In Vittorio De Sica’s Shoeshine (1946) or Umberto D (1952), poverty and the poor, in a very Catholic fashion, are framed as inherently redeeming attributes (by a director who, needless to say, had never experienced the cruel squalor of destitution), and not as the reversible outcome of social injustice. Faced with this sentimental onslaught of blameless victims, Italian cinema and society were never held accountable for their past, inaugurating thus a process of creeping rehabilitation of Fascism and its aberrant legacy that lasts to this very day. The films that honestly dealt with the opportunism and consequent proclamation of national innocence are very few indeed. One of them, Luigi Zampa’s Difficult Years (1948), was the first and last neorealist film to expose the political turncoating of Italian functionaries as well as ordinary men and women during and after Fascism. Negatively reviewing it for The New York Times in 1950, Bosley Crowther nonetheless helpfully contextualizes Zampa’s film by outlining the tendency of “Italy’s filmmakers to help purge that nation’s troubled soul of the guilt of supporting Fascism.” He then proceeds to note how “diligently, doggedly, devoutly, they have loaded the overwhelming blame for their country’s notorious corruption upon ‘the other fellow’s’ head and have shown that the average Italian was anti-Fascist to the core. The Blackshirts and the plainly alien Nazis have been the notable villains in their films. The heroes—the champions of freedom—have been the ordinary Italian Joes.” A film that had the decency to denounce the exact opposite, what an Italian partisan calls “last minute anti-fascism” in Damiano Damiani’s 1981 TV documentary Until Memory Lasts: Piazzale Loreto, was Florestano Vancini’s It Happened in ’43 (1961). The film chronicles the hypocritical speed at which Italians, from all walks of life, switched uniforms overnight and started opposing a regime they had until the day before supported, either silently or vocally. Two films, only, against the neorealist deluge of mystification and victimization are hardly enough to dispel the myth of an innocent nation forced down by an alien regime no one had either wanted or supported. This is a myth whose narrative and aesthetic archetypes were laid down in Rossellini’s war trilogy and subsequently expanded into what came to be known as, equivocally so, neorealism.